bebop spoken here: NME Falls Off the Shelf! Few jazz fans will shed tears at yesterday's announcement that NME will no longer publish a print edition after this coming Friday (March 9). 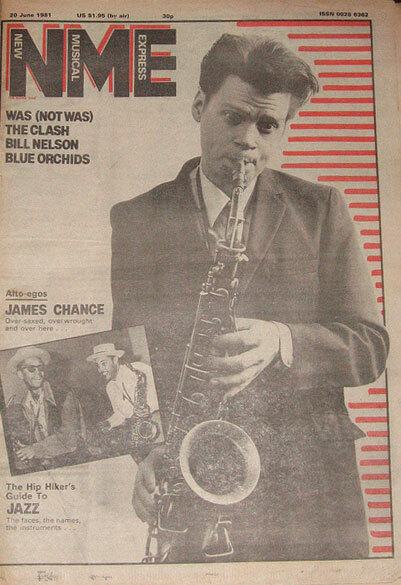 Even in its early days (1952 +) - unlike its rival Melody Maker who left us in 2000 having jettisoned its illustrious past many years previous - NME had little jazz content and, after the trad bubble burst, none at all (apart from this 1981 edition!). Nevertheless, it is always sad to see one magazine less on the newsagent's stand. Soon the newsagents themselves will be gone leaving a street of hairdressers, takeaways, estate agents and opticians. If the newsagent goes, what price on the opticians following? !